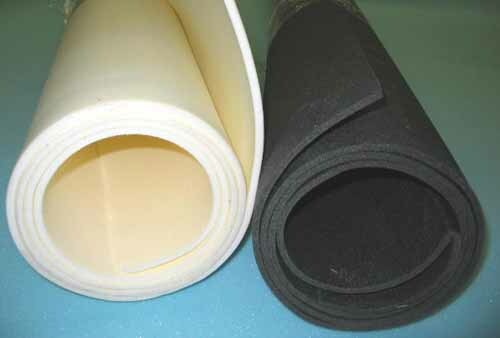 Description: features a very fine, uniform cell structure and offers superior chemical resistance, possesses excellent cushioning and thermal insulation properties, as well as exceptional mechanical strength and durability. Its ultra smooth surface allows for easy lamination via heat and adhesive. 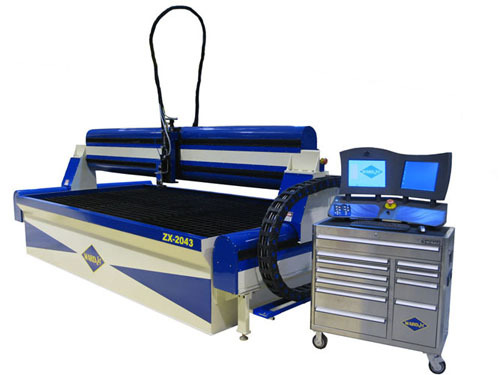 Our water-jet services are available to any manufacturer or customer that needs to protect delicate equipment, and or requires professional advertising for their devices. This is the perfect, environmentally friendly, technological solution for nearly all cutting needs; and it is less expensive then laser and die cutting. No minimum order required. 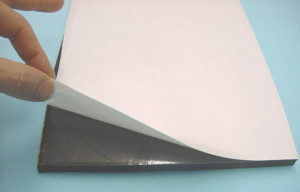 Volara With Adhesive Glue is available in any thickness! 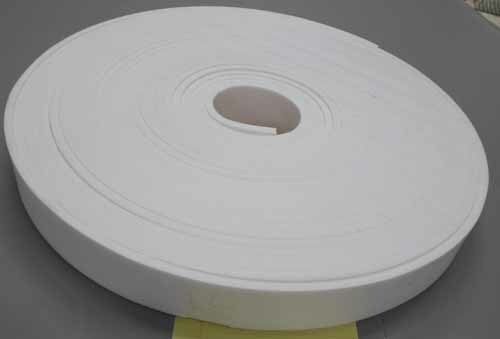 To secure the sealing of joints and seams, this glue adhesive backing is strong and is suitable for Formica and can stick on rubber, glass, leather, wood, sponge, plastic, paper, cement and fabric, and other surfaces. May not stick to ceiling. 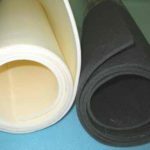 Just cut to size and peel off the backing – it’s that easy!Important note: Adhesive is an additional cost If you would like a sample please call or e-mail us. Volara With Foil Backing is available in any thickness! $10.00 extra per Lineal Foot. Please stored at at 64-72 degree fahrenheit and keep out of direct sunlight. R value for 2#Volara: is 3.6 approx. The R value measurement is per inch. 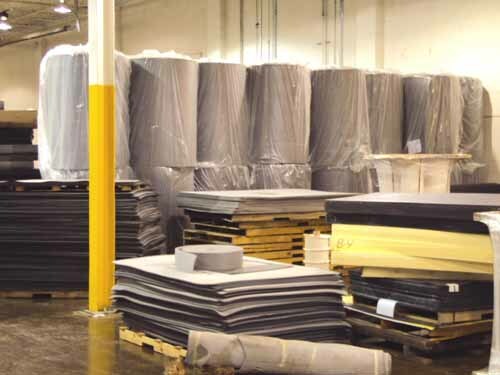 Specific Uses: Poker Tables, Headliners and Trunk liners, Insulation Barriers, Thermal Pipe Wrap, Expansion Joint Fillers, Hunting Decoys, Oven Cleaning Pads, Camping and Fitness Mats, Tent Floor Liners, Surf and Body boards, Toys, Orthopedic and Prosthetic Padding, Sound Blocking, Helmets, and Vent Insulation and suitable for hot tubs to hold in the heat when not in use by floating on the surface. how many Lineal Ft. of Volara you want. 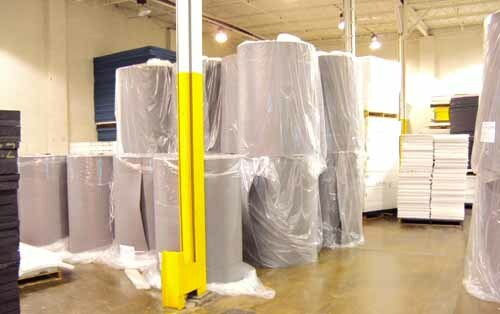 Adhesive backing on both sides is available for $6.00 extra per Lineal Foot. 1/8″ Thick x 60″ Wide x 600 Ft. Full Roll $745.00 $1,510.00 Please email us with your zip code and how many Lineal Ft. of Volara you want.